Our website illustrates your choice of products and services available for your roofing project. Please review the various areas to help you make an informed decision and to build confidence we are the right contractor for your roofing needs. We'll make sure your home makes a striking impression, adding the greatest curb appeal in your neighborhood. Attention to detail, quality products and quality craftsmanship is key. Your choice of roofing material is an important decision when protecting your home from the elements, bringing out the beauty and extending the useful service life of your roof system. Homeowners have numerous choices of products, styles and design options. There are several shingle and shingle type materials . . . Asphalt, Wood, Tile, Metal, Composite and more . . . Choosing the right contractor to install your roof is just as important as selecting quality materials. 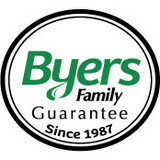 With so many products available, we'll help you make "Your Best and Safest Choice." We are a full service roofing company and we will handle everything from a new roof installation, restoration and maintenance to re-roofs and repairs. All with the assurance that can solely come with years of experience. Quality craftsmanship and design are key - and we go beyond the basics with innovative maintenance programs, extended warranties and great customer service, ensuring our customers' satisfaction and their roof's long term performance. What do roofing companies in Roseville, CA do? Your Roseville, CA roofing contractor can install a new roof or repair an old one, as well as repair and replace gutters. Good roofers in Roseville, CA should be able to promptly inspect roofs and gutters to assess damage after a natural disaster or other event, and give you an estimate for the necessary roof repair immediately. Some Roseville roofing companies specialize in specific types of roofs, such as tile or metal, so make sure the one you are interested in works with the materials you have or desire. 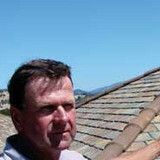 Find a Roseville roofer on Houzz. 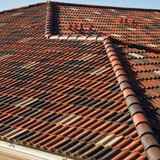 Narrow your search in the Professionals section of the website to roofing companies in Roseville, CA. If you’re planning a large-scale project, find other professionals on Houzz who can help get the job done. Here are some related professionals and vendors to complement the work of roofing & gutters: General Contractors, Specialty Contractors, Siding & Exteriors, Door Sales & Installation, Garage Door Sales & Installation.